If you’re a children’s or youth services librarian or early childhood professional this webinar is for you! 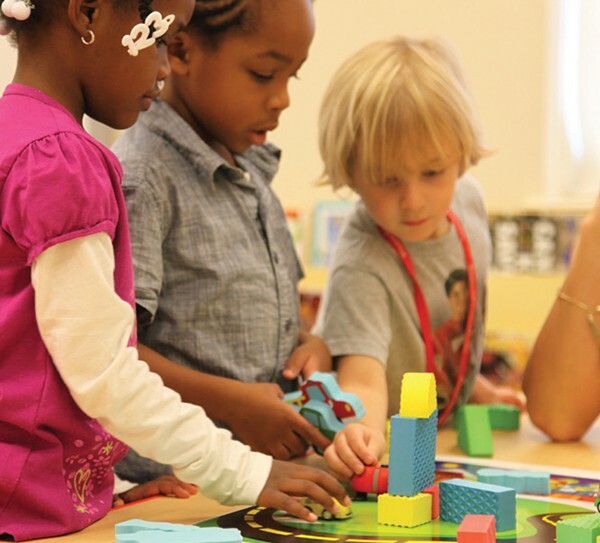 In this Hatch Early Learning-sponsored webinar, Susan Gunnewig, Vice President of Product Development, draws from her extensive background in early childhood education to give you insights on the importance of STEM curriculum for our youngest learners. 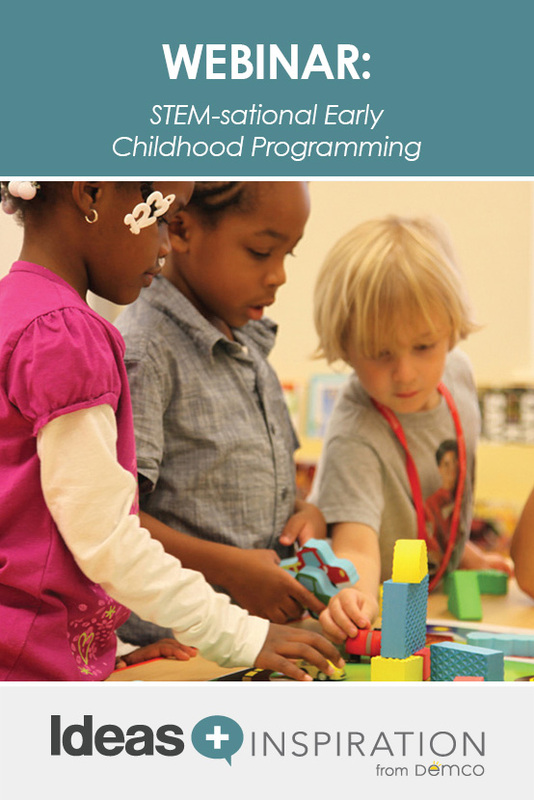 Did you know that some preschool curriculums only spend 58 seconds of a five-hour day on math education? Or that there is only one preschool curriculum that meets the Committee on K–12 Engineering Education’s standards to adequately teach engineering basics? Early childhood educators and children’s librarians know how important these skills are, but how can you tailor this information for young children? Susan began her career as a Head Start teacher in 1965 in Houston, Texas. For 28 years, she was a classroom teacher primarily in elementary grades in the inner city. She was the Asst. Reading Manager for Houston Independent School District and oversaw the development of the reading program which became the framework for Reading First under No Child Left Behind. In 2001, Susan joined the faculty of the University of Texas Medical School in Developmental Pediatrics. During her tenure, Susan cocreated an early childhood integrated service model for the State of Texas, which is now state law. In addition, she was Co-PI for a number of federally funded organizations, including NIH, NSF, NCHID and USDOE IES. The states of Texas, Florida and California included her as a developer of their states’ early childhood standards. Susan retired from the University to establish a Product Development Department for Hatch Early Childhood in 2007. She is the director and oversees content development for all technological hardware. In October 2014, Susan was appointed to serve on the National Council for Teacher Quality located in Washington D.C. Her role is to inform the quality of higher education courses for pre-service early childhood courses. I was able to listen to the STEM-sational Learning:, but was not able to see any of it or have a way to print the certificate. I’m sorry to hear that you had trouble seeing the webinar slides, Doris. The slides are available for download on this page if you like. You may also try clicking on the play button over the image to see if the on-demand version works for you. I have asked for a certificate to be emailed to you. Again, apologies for the technical difficulties. Please send me any information about any training you are providing to view on line and the times. I would like to participate on it. I work for KCSOS and I’m a teacher/SSI. Thanks for your interest in our online webinars. You can visit ideas.demco.com/webinars to see the latest list of upcoming and on-demand webinars. You can also sign up to receive emails at demco.com. We regularly send out updates about our Ideas + Inspiration webinars and blog posts to help make it easier for you to stay in the know. I enjoyed this webinar and look forward to creating a STEM center in my classroom. For my professional records, how do I obtain a certificate to verify that I viewed this webinar? Thank you for your presentation and your assistance in acquiring a certificate! Thanks so much for watching our STEM-sational Learning webinar! I have asked for a certificate to be emailed to you. You may also be interested in our STEAM & the Maker Mentality for School-age Youth webinar from April 2015. Should you view this or other on-demand webinars, you can obtain a certificate of attendance by emailing webinar@demco.com. Thanks again. I am looking to acquire a certificate for this. It was a great webinar and full of solid information! Thank you! Thanks so much for watching our STEM-sational Learning webinar! I have asked for a certificate to be emailed to you. Should you view this or other on-demand webinars, you can obtain a certificate of attendance by emailing webinar@demco.com.